Jurors couldn't agree the first time around whether to accept a woman's story that "America's Dad," Bill Cosby, sexually assaulted her over a decade ago. Now he faces a retrial in less than 90 days in a vastly different cultural climate, one in which powerful men from Hollywood to the U.S. Senate are being toppled by allegations of sexual misconduct. The jury in Cosby's case was hopelessly deadlocked on charges he drugged and molested a woman in 2004, and the judge declared a mistrial in June. But that was before the revelations about movie producer Harvey Weinstein and the #MeToo movement burst into the public sphere. The shift is clearly on Cosby's mind. He quipped to a reporter after shaking her hand Wednesday night outside a Philadelphia restaurant: "Please don't put me on MeToo." Legal experts say the seismic change in believing and supporting victims of sexual harassment and assault — and the near-immediate ramifications for so many famous men — will surely trickle into the Cosby retrial, slated to begin April 2. NBC10's Randy Gyllenhaal was outside the courthouse when the judge ruled Bill Cosby's sexual assault trial a mistrial. "Given the split last time, the challenge is going to be in jury selection," said Los Angeles lawyer Mark Geragos, who is not involved in the Cosby case but whose clients have included Michael Jackson. "Almost all cases are won and lost in jury selection, this case in particular." In Cosby's first trial, jury selection was moved to Pittsburgh over defense fears that widespread publicity could make it difficult to find unbiased jurors in the Philadelphia area. 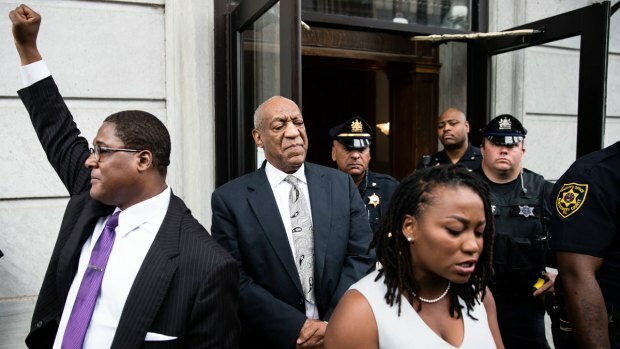 Cosby has a new legal team, so their strategy may be very different. The star of "The Cosby Show" is charged with knocking out accuser Andrea Constand with pills and sexually assaulting her at his home near Philadelphia. He has said Constand, a former executive with Temple University's women's basketball program, consented to their sexual encounter. 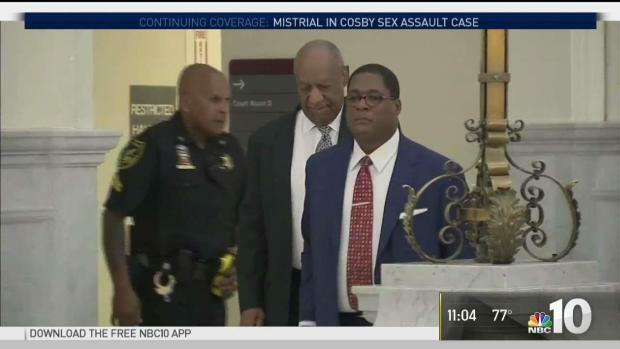 "This is about whether you believe the victim or not, and the events of the last year certainly make the case harder for Cosby," said Philadelphia criminal lawyer Alan J. Tauber, who isn't involved in the case. "Ordinary people are seeing people they respect and trust undermined by terrible accusations." 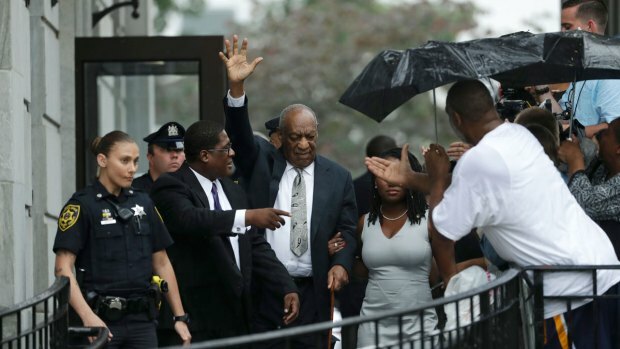 Calls and emails seeking comment from Cosby's lawyers weren't returned. During his first trial, the comedian's lawyers portrayed Cosby and Constand as lovers who had enjoyed secret "romantic interludes" and tried to sow doubt about her claims. Bill Cosby's defense team sees his mistrial ruling as a victory. NBC10's Aundrea Cline-Thomas spoke to Cosby's defense team about the outcome of the trial. The lawyers reminded jurors she waited a year to contact the authorities and suggested her story evolved during interviews with police. They also noted Constand made dozens of telephone calls to Cosby, who was a member of Temple's Board of Trustees, after the alleged assault. "This isn't talking to a trustee. This is talking to a lover," former Cosby lawyer Brian McMonagle said of one call that lasted 49 minutes. "Why are we running from the truth of this case — this relationship? Why?" In a case like Cosby's, in which the evidence is primarily testimonial and not physical, credibility is key. Diane Rosenfeld, a lecturer and director of a gender violence program at Harvard Law School, believes the floodgates of victim support opened after the Weinstein allegations and not after Cosby's accusers came forward for two reasons: perceived credibility of the victims and the likability of the accused. "Bill Cosby had been such a treasured American hero, giving us this friendly, accessible view of a successful African-American family," she said. 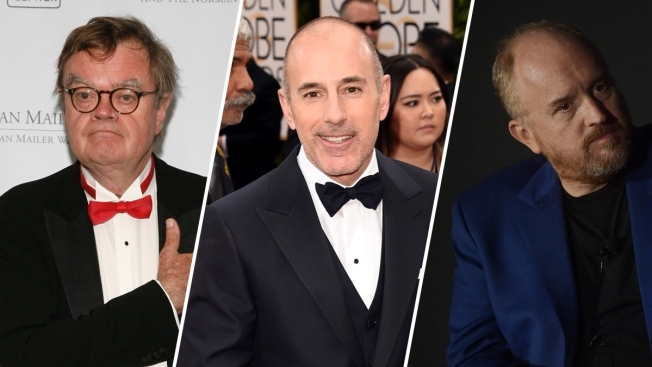 "He was such a loveable public presence, his accusers didn't have as much power collectively or public notoriety as victims in the Weinstein case." Montgomery County's district attorney declared he would take Bill Cosby's sexual assault case back to court after the judge declared a mistrial. NBC10's Drew Smith has the details on what's next for the case. "I think the shift is here to stay," said Carol Tracy, executive director of the Women's Law Center in Philadelphia. "It might not be on the front page next year, but I do think it will have a significant impact going forward in the criminal justice system and on how jurors view these cases." Constand's lawyer said she was floored to hear Cosby's comment about the #MeToo movement. "Apparently Mr. Cosby still believes sexual assault is a laughing matter," said attorney Dolores Troiani. "You have to hope he is alone in that opinion." The Associated Press does not typically identify people who say they are victims of sexual assault unless they grant permission, which Constand had done. "And for a number of reasons," he said, "that seems to be happening now across the country." Geragos said the cultural shift might make it easier to get a jury from a defense perspective, because a lot of people who might have been pro-prosecution will self-disqualify by saying they can't be fair in the current climate. "Victory," he said, "might just be another hung jury."